So yesterday I got you to try spinach in your fertility smoothie, which was actually really good right ;). Today we are going to make something decadent and nutrient dense. -Put all ingredients in blender and add a small amount of water and begin blending. Add more water and ice cubes (I usually use 4) until consistency is how you like your smoothies. Let this one blend for a little while so it is smooth. Today’s fun ingredients are oatmeal and hemp seeds. Oatmeal is a great addition to a smoothie as it adds important whole carbohydrates and fiber. This helps the smoothie to stick to you for a while, plus it makes an easy meal, or snack. Rolled oats work great for smoothies. Hemp seeds are currently one of my favorite foods. They are rich in essential fatty acids, protein, and fiber. I add hemp seeds to my smoothies almost every day because of how nutritious they are as well as how creamy they make the smoothie. You can find hemp seeds at your local health food store or online. The Maca powder, which is a staple in our fertility smoothies, nourishes the endocrine system (which helps to balance hormones) as well as supplying fantastic energy through the nourishment of the adrenal glands. Spirulina is a nutrient-dense green food which helps to supply minerals, protein, and nutrients which may be missing if you do not eat a lot of greens. I like spirulina in smoothies because of its light taste. You can find both of these fertility superfoods at NaturalFertilityShop.com. I actually did the Fertility cleanse a few months ago and started taking Maca and Spirulina at the same time. This was in anticipation of undergoing the next step in my fertility treatments, IVF. I am happy to announce that I am currently in my 7th week of pregnancy! This conception occurred with no medical assistance! My husband and I are excited and nervous as we have endured 2 miscarriages which were both in the early stages of pregnancy in the past. We are taking it day by day and hope to be into our 2nd trimester by the end of August and welcome a new baby into our family by March of 2010. Thank you for all your helpful information. I’m certain it played a part in our miracle. Question of the day: When do you drink your smoothies? While I have not tried just leaving the chocolate out, try it! I am sure it will be pretty good. Or add some spices like cinnamon, cardamom, clove, nutmeg (small amounts, starting with pinches) to make it a mock Chai Tea smoothie. 😉 Enjoy! If you think of it, let us know what you decide to try! There may be others interested in your modified smoothie. Was not a fan of the taste of this one! Maybe the green/brown colour threw me off. Hello, What is the Dark Chocolate Powder? Where can I purchase this? Dark Chocolate powder may also be sold as cocoa powder… it is powdered chocolate. Most grocery stores and specialty food stores, including Co-ops, sell cocoa powder… we suggest using a dark chocolate one. I am just wondering with the Spirulina, I have some in tablet form left over from past and was wondering should i just keep taking this daily or should i crush it up into this smoothie (what is best), also my health food store only has Hemp Oil not hemp seeds will this still work fine? If they are not really old that may be fine. I am not sure if you do not have a high powered blender putting spirulina tablets into smoothies will taste very well, as it may contain hard chunks. Hemp oil is not going to contain as much fiber, but if that is all you can find it will still have health benefits. hmmm….I know it’s an old topic, but I was wondering about the amount of chocolate powder in this. I added it and it is REALLY chocolatey, I had to halve my smoothie and top the half up with water. Which is fine, my husband can have the other half. I’m hoping the maca is going to help my pcos. Thanks for the tip, you could cut the chocolate powder to 1T. rather than 2! what fruit can i substitute with a date? What about soaked raisins or prunes? You may also choose a little sweetener instead like stevia, honey or agave. Thanks Dalene! I like how you can make variations of the smoothie just by adding whatever kinds of fertility ingredients into it. WOW! The chocolate oatmeal bliss was really fantastic! I only had whole hemp seeds available (not the hulled ones) so it was grainy, even with my vitamix. I gather that it would be smoother with the hulled seeds. I wasn’t sure about the water portion, started with 120ml (4oz) of water and it wasn’t enough. Added about 1/2 cup more, and it was thick but the ingredients finally moved. A little thick for my taste but if you like the “stuck in your throat” thickness, that amount of water may be fine. I also added frozen bananas so did not add ice cubes, and it was perfect coldness. Thanks for the smoothies! Looking forward to completing them all. Thank you for the fertility smoothie challenge. I am on day 2 today. Which ingredient is the herbs for women’s fertility? My husband and I are both drinking this, but I can’t find the herb ingredient for women’s fertility. 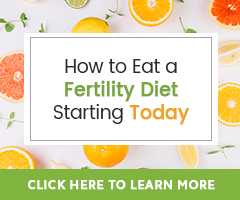 I don’t think any of the Fertility Smoothie Challenge Recipes include herbs for women’s fertility, but some women and some recipes on our sister sites may. Herbs not for men that you could put in smoothies would be Vitex, Dong Quai, Conceptions Tea, ect. I am just getting my ingredients together to start this challenge. Quick question – I have noticed that hemp seed is sometimes referred to as “hemp seed nut”. Is it a nut? I ask because I have a severe nut allergy and I don’t want to take it if it’s related to a nut in any way. Great question. Hemp seeds are not a nut. Please read the package you are going to purchase to read to see if there are any allergy cautions. dark Chocolate powder.. use the cocoa powder, right? Yes that is the dark cocoa powder, not the milk chocolate. Yum! Thanx for the wonderful site !! 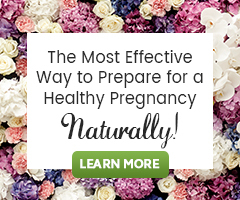 i felt much better & a ray of hope have set in me,knowing that a natural pregnancy is possible for people with endometriosis.i had a question,can my husband also take the fertility smoothie? thanx in advance 4 u’r answer. Yes your husband can drink fertility smoothies including Maca, but he should not take herbs for women’s fertility. I am on a gluten free diet, is there anything I can substitute for the oatmeal? Bob’s Red Mill makes a gluten free Oatmeal. Have you ever made rice pudding or I make a watery rice porridge with rice milk, agave and fruit. You could try that instead.